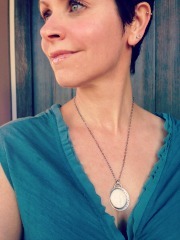 My favorite part of my work is I get to make one of a kind jewelry. Ok…. let’s face it. There’s so much past and present jewelry out there that everything has kind of been done but…..when you add your own gemstones and your own style it becomes your one of a kind jewelry. 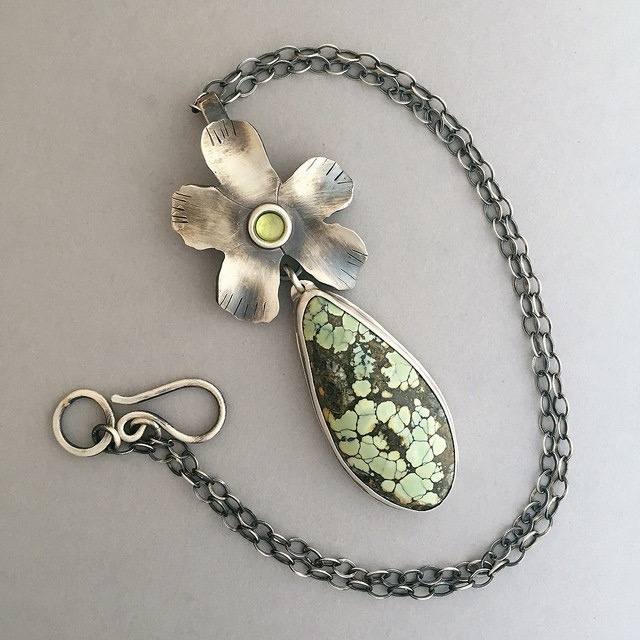 I think in jewelry as in every other art form it takes practice and patience for your style to emerge and even as our work grows you can still see someones style. The piece above was a gorgeous Damele turquoise. I added a peridot to the flower. I just adore this one and am thankful it’s gone to a good home. 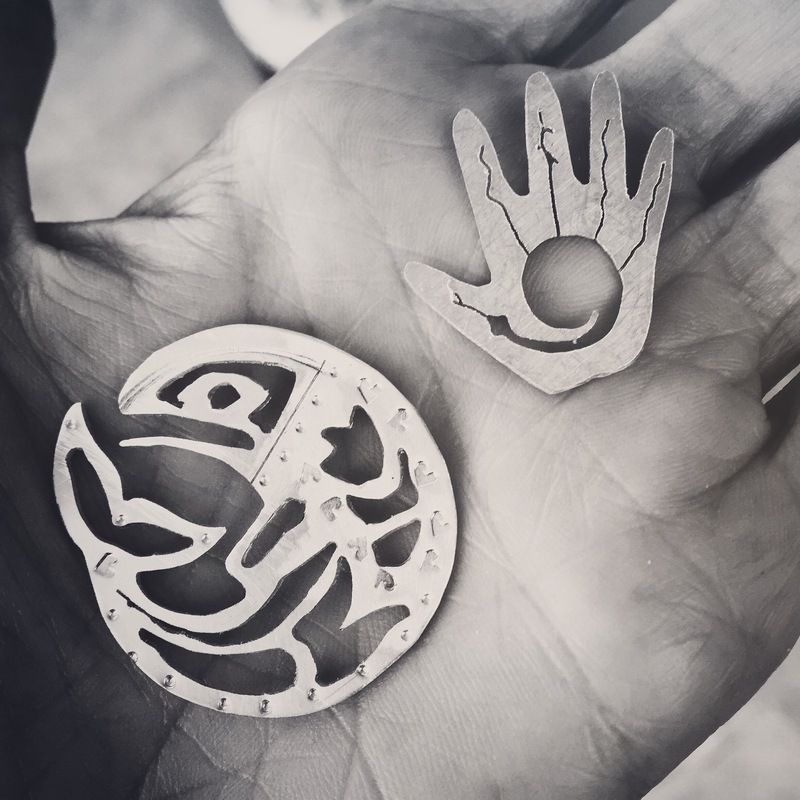 Recently, I sawed and pierced more shapes. This is a pic when they were not finished or sanded. You can see the result of the fish in the picture below. I love the quote on the back of the fish. 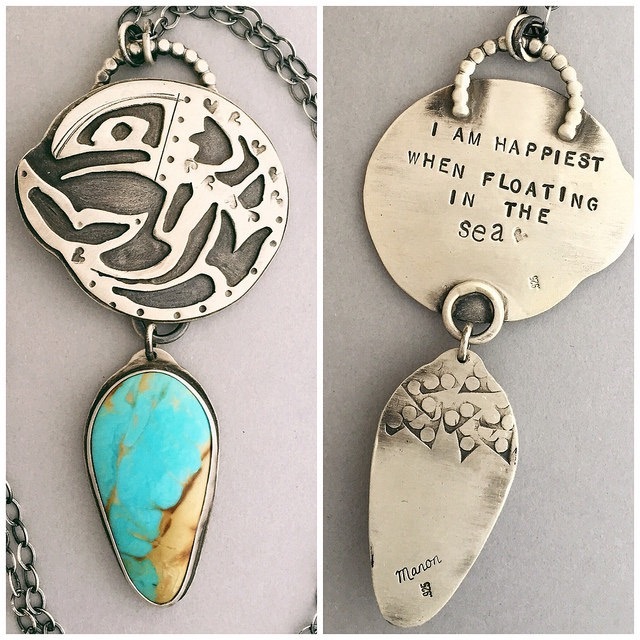 I thought the Kingman turquoise reminded me of the sea and was a perfect pairing the fish. I’m a sucker for a druzy stone. This deep color pink is eye-catching for sure. 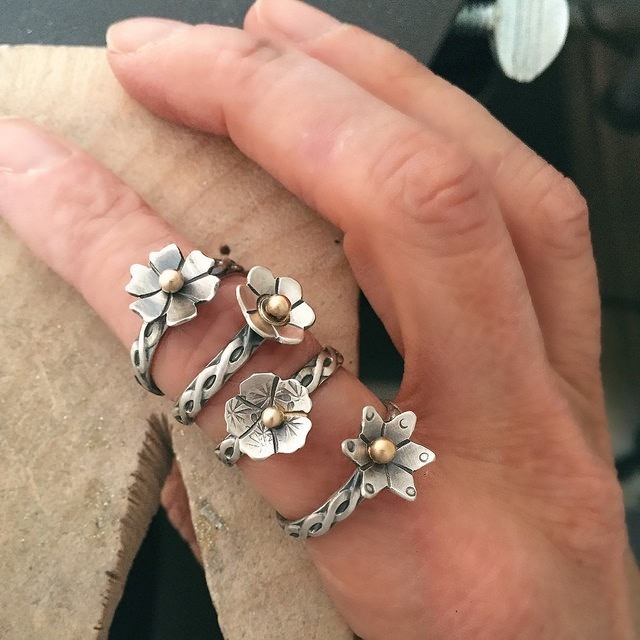 I sawed some little flowers to add to some rings. A touch of gold makes them pop. These rings are great for gifts. 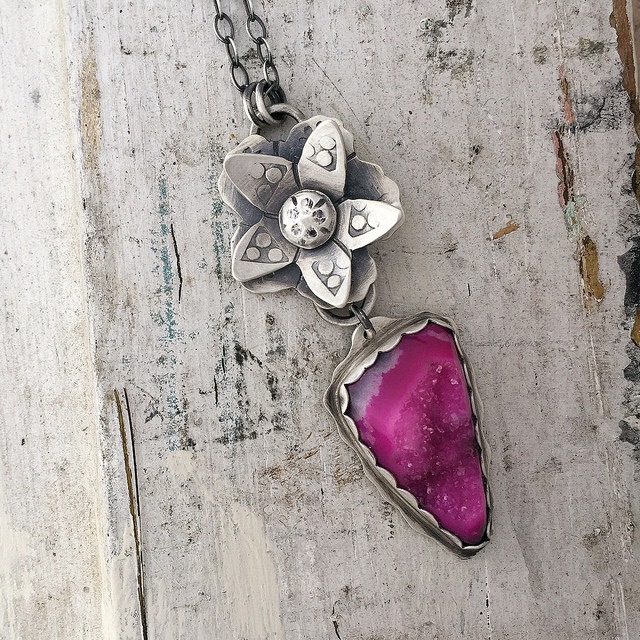 So you see……one of a kind jewelry is so personal. It might be the stone, the design or the words that mean something to the owner. It is a pleasure for me to create these.